A workout program with a focus on LEARNING, not just "doing"
A little disclaimer -- because we care about your health! Always consult your physician before beginning any exercise program. This program is not intended to diagnose any medical condition or to replace the importance of in-person consultations with a healthcare professional. If you experience pain or difficulty with the exercises in this program, please stop and consult your healthcare provider. The workouts are set up circuit-style. Complete all exercises in a row with a short rest between for one full round. Rest, hydrate, and then repeat the entire circuit again for up to 2 or 3 rounds. 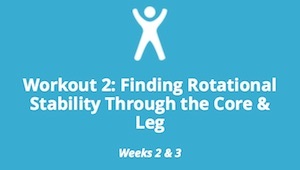 All of the exercises have strong elements of core work and direct application to endurance sports, but each set has a rotating upper body, lower body & core focus element to allow active recovery of one area as you move to the next exercise. Try to work continuously through the exercise set with minimal breaks and maintaining a workout heart rate. The exercise activity order allows for dynamic recovery as multiple planes of motion are utilized and improved strength endurance is achieved. You'll only have access to one workout at a time. 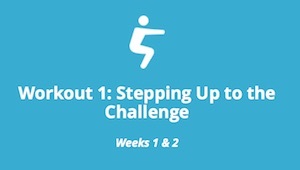 Each workout will be available for 2 weeks, at which point you'll move to the next workout.